Julie McElwain is a newer time-travel/historical mystery author who wrote the Kendra Donovan series. 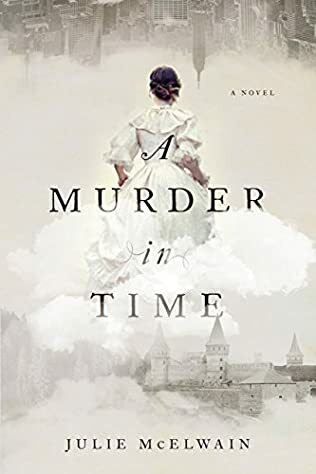 I was on a time-travel kick when I picked up her first book, A Murder in Time, and loved it right away. 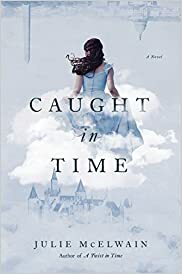 With currently three published books, Julie is slowly rising to the league of the bestselling authors of popular time-travel books. Here are the Julie McElwain books in order for her beloved Kendra Donovan series. Julie McElwain was born and raised in North Dakota. 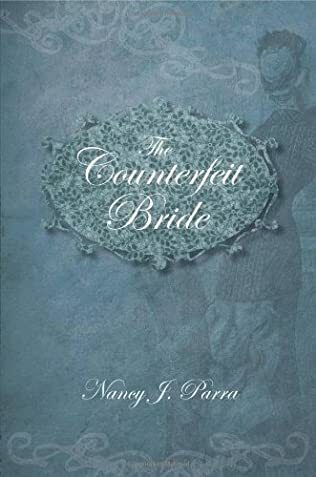 She always loved the book and has read over the years hundreds and hundreds of crime mystery novels, starting with Nancy Drew as a child, in fourth grade. She also wanted to write mystery novels from a young age. She wrote, in fact, many novels in her early years, all of which she easily discarded after not being happy with them. Julie attended the North Dakota State University. Initially, she started for a fashion degree course, however, eventually, she switched majors and went for journalism. She even began writing articles for the school newspaper, when she realized that there was money that could be made by writing. In fact, she graduated with a double major, one in textiles and clothing, and the other one in journalism. After graduation, she moved to Los Angeles where she began her career in journalism. Her first job was at a fashion trade newspaper as a business reporter writing about the fashion industry. Later on, she began writing about the entertainment industry. While she loves journalism, she also loves writing fiction novels. It took her several years to write about fashion and entertainment until she realized that she could only be really content if she started writing her own books. While currently, Julie McElwain is working as a West Coast editor for Soaps In Depth, a national soap opera magazine, covering the hit daytime drama, The Young & The Restless, she eventually started writing books, thus creating her Kendra Donovan series. 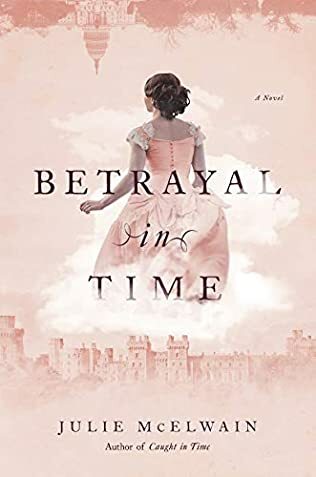 For her debut novel, A Murder in Time, she spent a lot of time researching the Regency era. She subscribed to several author’s mailing lists who wrote historical romances. She even traveled to Great Britain where she visited several museums and large estates, so she had some ideas of places for her books. Julie also had to dig deeper into the social stratifications of those past years, when people from different classes had no business intermingling with each other. Also, back in the day, women were looked at not much more at than that making children, raising them, cooking, baking, and doing some needlework. There were even some true-crime stories involved in her book, based on real crimes. In a nutshell, Kendra Donovan is a prominent FBI criminal profiler for the FBI, very good at her job, who travels from the US to Aldridge Castle in England to kill a criminal who killed several of her team members in their last mission. When things go wrong, Kendra flees through a secret passage that takes her right to 1815. Different time, same castle, different people. As Kendra’s parents are scientists (her mother is a quantum physicist), she soon realizes that she has jumped through some weird wormhole. She needs to get back home, but she has no idea how to do it. So Kendra, for the moment, is stuck in 1815 where murder is just as prevalent as in the 21st Century. Being an officer of the law, Kendra does everything she can to help solve the murders that cross her path. The problem is, in 1815 women were certainly not solving murders. They were not even allowed at looking at murder scenes. So Kendra is stuck in a time and situation where she literally has no rights, often is treated as a child, or as someone beneath those around her, and somehow has to forge her own path to survive – at least long enough until she can get back home. She is quick-witted, foul-mouthed, and always speaks her mind. And she has always something to say, even when she is strictly told to mind her own business. 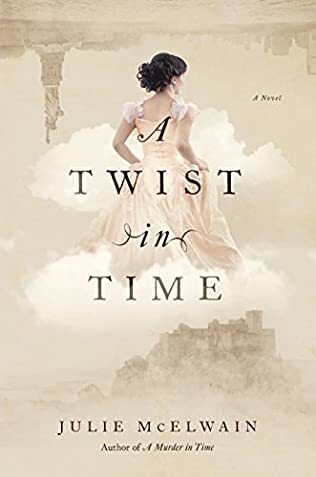 The Julie McElwain books about Kendra Donovan are exquisite historical mysteries, especially the last two, although the first one deals more with time travel. The second and third book, while do mention time travel, they are all in the past. Kendra is slowly getting used to living there; she even has a new love interest, although the idea of going home to the 21st Century is never far in her mind. Kendra is a tough woman who entered a situation where she has to use everything she has been taught so far to survive and even thrive. So far, the Julie McElwain Kendra Donovan books focus mostly on Kendra solving murder mysteries in 1815. That’s what she knows to do above all. Even though everything is rudimentary (fingerprinting was not even used in solving crimes back then), Kendra relies on everything she has learned at the FBI Academy and during her work as an FBI agent to solve the cases she literally stumbles upon. Although she is very alone in her unique situation, at least she is not completely so. At some point, she told her story of time travel to the Duke of Aldridge, who took her as his ward, and to his nephew, Alec, who has fallen in love with Kendra (and that love is, of course, reciprocated). So right now, there are two additional people who are aware that she is from another time. Besides Kendra, however, there are several other strong women who are the forerunners of what women will become in the future. For example, there is Rebecca, part of the upper class who is always rooting and fighting for women’s rights. 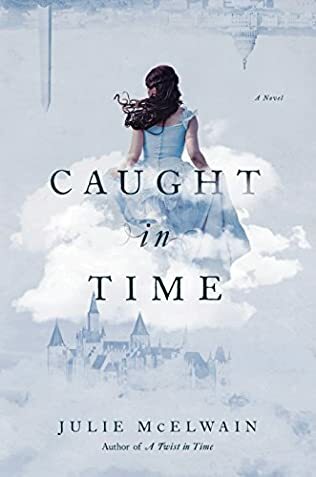 In Caught in Time, the third Kendra Donovan book, Julie McElwain brings forth an interesting twist that puts things into another perspective, and it also deflates one of Kendra’s thoughts about going home. In addition, there is also another murder (or murders) to be solved, and Kendra and the Duke are smack into the middle of things, once again. For those who were eagerly expecting Kendra go to back home in this book, sadly it does not happen. 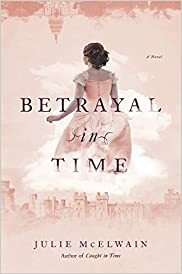 In book 4, Betrayal in Time, it seems it doesn’t happen either. Here, Kendra is once again included in a murder investigation, this time for that of Sir Giles Holbrooke, whose body was left naked, and which shows strange signs on its surface. More and more it seems that the series has crossed over to a real historical mystery genre, where the time-travel aspect was only the catalyst. Hopefully the future books will prove me wrong. If you are tired of reading typical mystery novels, A Twist in Time might be the remedy. The novel and the series have plenty to offer: a captivating plot, an easy language which make the ready experience go smoothly, and a host of interesting characters. If you want something entertaining, this is a good pick. (Mystery Tribune).